Find hotel near Nobel Brothers Batumi Tec .. Established in 2007 the Nobel Brothers Batumi Technological Museum houses some 2000 odd objects of technical technological achievements that Batumi saw towards the end of the nineteenth and beginning of the twentieth centuries. These include significant events with contributions from the brothers–Nobel, Rotschilds and Mantashev. The contribution is indeed a momentous one for inventing novel technology of oil transit that aided in putting Batumi on the world map in terms of International Trade Affairs. Set in an antiquated house in oldtown Batumi, this attraction has displays in English, making it comprehendible for visitors from all over. Free entry for children under 6 years, homeless children, soldiers, employers of Georgian and Foreign Museums, ICOM members, and I and II category disabled persons. By bus, bicycle or on foot. How popular is Nobel Brothers Batumi Technological Museum? People normally club together Bridge Makhuntseti and St Nicholas Orthodox Church while planning their visit to Nobel Brothers Batumi Technological Museum. Very small museum with different exhibits. It’s dedicated to the history of Batumi’s oil industry. It’s cheap to visit the museum, and it takes about an hour to look through the composition. THE NOBEL BROTHERS BATUMI TECHNOLOGICAL MUSEUM The Nobel Brothers Batumi Technological Museumwas established in 2007 as the Legal Public Entity under the Ministry of Education, Culture and Sport of Adjara, Georgia. 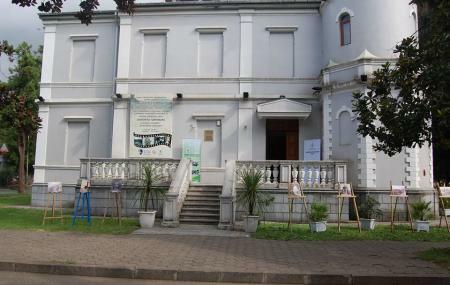 Museum represents the technical and technological achievements introduced to Batumi at the end of the 19th c and beginning of 20th c: activity of the Nobel Brothers, the Rotschilds, and Mantashev. There are 2 000 items stored there. With Nobel Brothers help and activity the new technology of oil transit was implemented and Batumi was involved into the International Trade Affairs. There are exhibits on the development of tea culture, printing-house, and photography. In the museum there are the photos of Prokudin-Gorski - the first master of the color photography. Working hours: Every day except Monday, 10.00 – 18.00 Ticket price: Adults -2GEL, Students – 1 GEL, Schoolchildren – 0.50 GEL Free of charge: Children under 6 years of age and homeless children, soldiers, employers of Georgian and Foreign Museums, ICOM members, I and II category disabled persons. Interesting.... Good to visit on a rainy day. Very interesting exposition, take an excursion, it's cheap and insightful.